Moshe teaching in Maaleh Adumim, Israel. 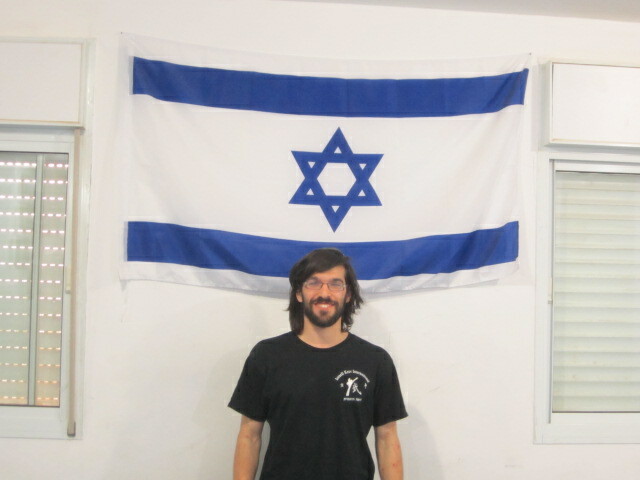 Moshe Katz has been teaching in Maaleh Adumim since 1993, and internationally since 2005. 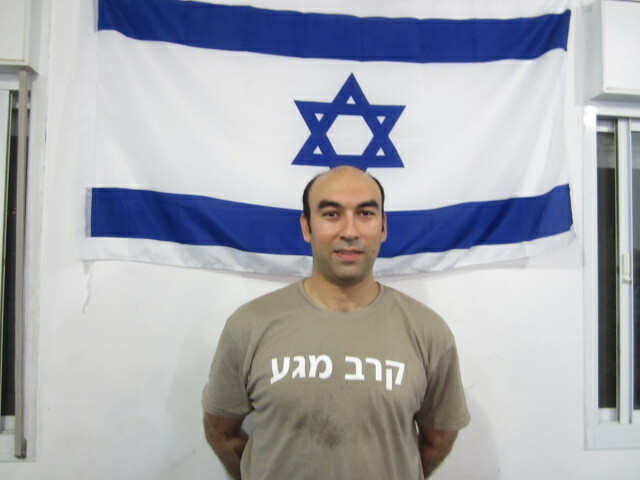 Esther Lehman -More than 20 years experience in Krav Maga training with Moshe Katz and Itay Gil. She is also a Wingate certified physical fitness expert. Yonat Roskind - Three years direct training with Moshe Katz and Esther. 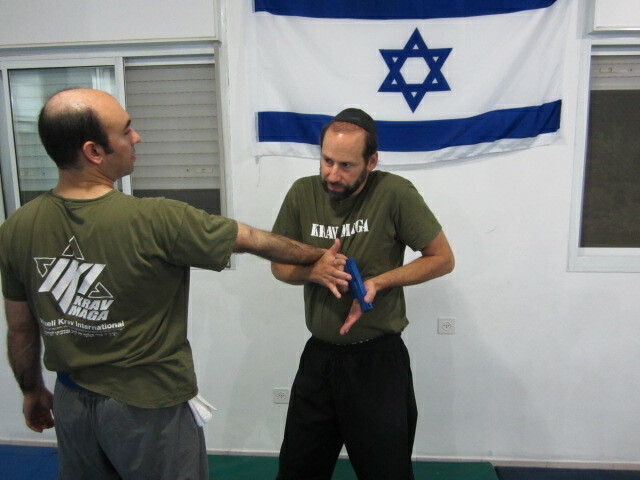 Yisrael Kaplan -Black Belt with Moshe Katz and Itay Gil. 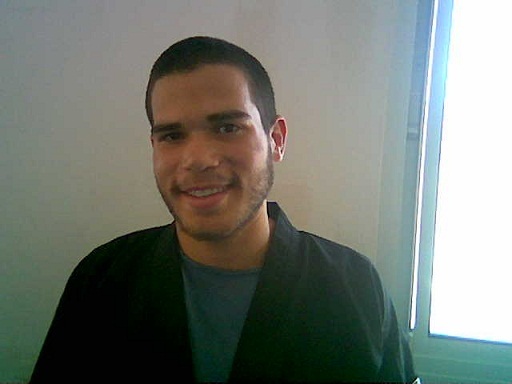 Eitan Susman -Black Belt with Moshe Katz and Itay Gil. Avi Baldasare- Black Belt with Moshe Katz, pre-Black with Itay Gil..
Naomi earned her black belt in Shurin ryu under Sensei Jill Shames and Sensei Michael Rosati. 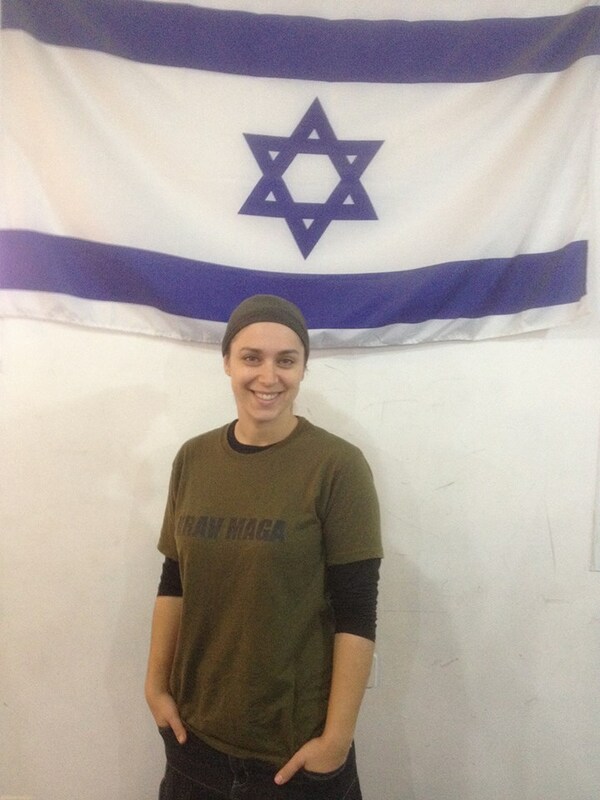 She also served in the Israel Defense Forces. 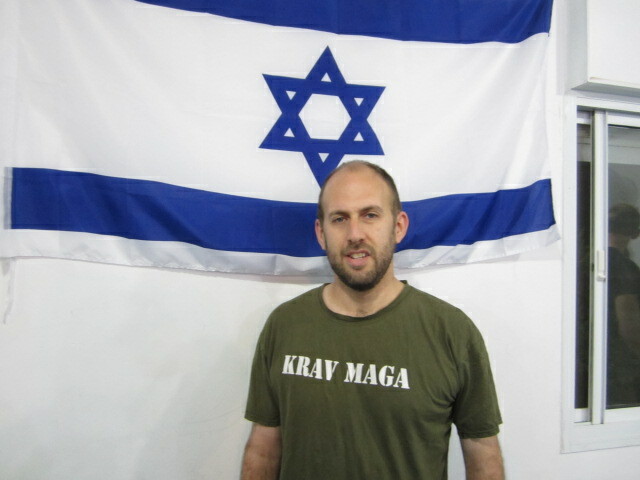 Her background prepared her for Krav Maga training, which she has picked up quickly. She taught a seminar for the Canada Israel Coalition and soon will be teaching at Israel's women's martial arts association's annual seminar.